Sydney is known for nightlife, trails, beaches, parks, and museums. 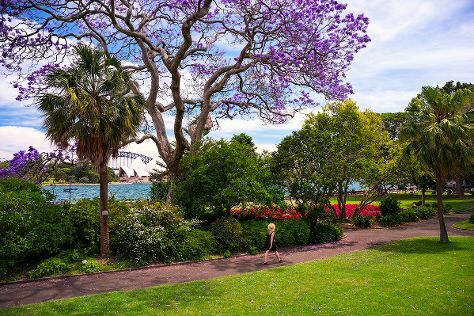 Your plan includes some of its best attractions: admire the natural beauty at Royal Botanic Garden Sydney, enjoy the sand and surf at Bondi Beach, tour the pleasant surroundings at The Opera House to the Botanic Gardens Walk, and take a stroll through The Rocks. For photos, where to stay, reviews, and tourist information, read Sydney trip itinerary builder site . Kuala Lumpur, Malaysia to Sydney is an approximately 11-hour flight. You'll lose 2 hours traveling from Kuala Lumpur to Sydney due to the time zone difference. Traveling from Kuala Lumpur in May, things will get colder in Sydney: highs are around 24°C and lows about 14°C. Finish your sightseeing early on the 18th (Sat) to allow enough time to travel to Melbourne. Melbourne is known for museums, shopping, parks, nightlife, and zoos & aquariums. Your plan includes some of its best attractions: don't miss a visit to Royal Botanic Gardens, take in nature's colorful creations at Fitzroy Gardens, see the interesting displays at Melbourne Museum, and explore the world behind art at National Gallery of Victoria. 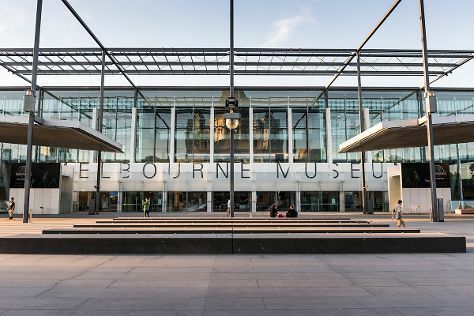 To see more things to do, photos, where to stay, and other tourist information, go to the Melbourne day trip planning site . You can fly from Sydney to Melbourne in 3.5 hours. Other options are to do a combination of flight and shuttle; or drive. Traveling from Sydney in May, expect Melbourne to be slightly colder, temps between 20°C and 9°C. Wrap up your sightseeing by early afternoon on the 21st (Tue) to allow time for travel back home.